BendPak Lifts – 2-Post Car – XPR-10S-168-LP – 10,000 lb. Lifting Capacity - Gary Bloom Sales, Inc. The XPR-10S-168-LP Extra Tall 168″ two-post lift offers exceptional direct-drive lifting performance. 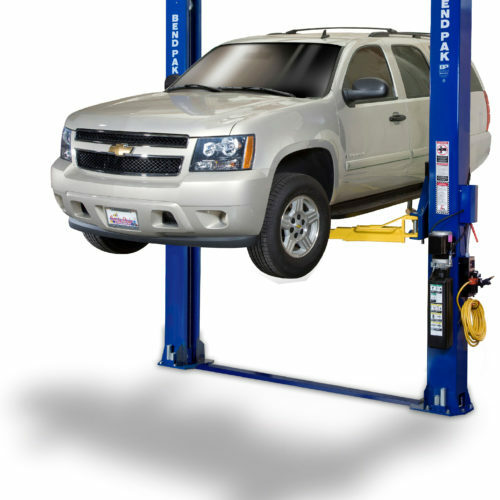 This industrial-strength car lift guarantees cutting-edge technology, top of the line materials, a design that’s ahead of its time and a 10,000-lb. lifting capacity. The XPR-10S-168 is a reflection of our commitment to produce a car lift of the highest quality. Featuring the most advanced engineering in the industry, this lift is built to safety standards well above normal OSHA/ALI/ETL requirements. 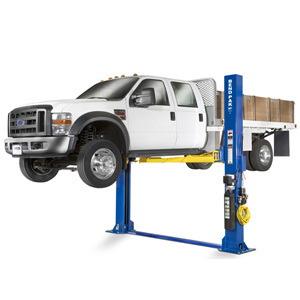 Every BendPak lift offers an abundant roster of options and accessories that allow you to fully tailor the lift to your unique circumstance. In addition to these features, you’ll be impressed with the long list of standard features and capabilities packed into the structure, parts and components. 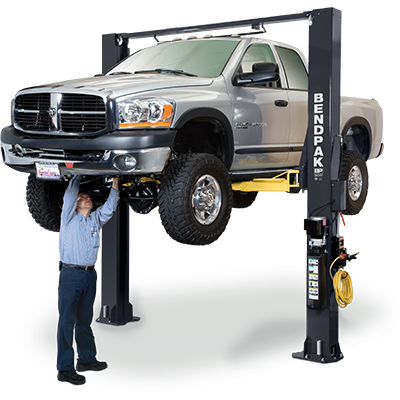 When you buy a BendPak two-post lift, you can expect a significant boost in performance and life expectancy. No one surpasses us in quality or safety, which means your BendPak XPR-10S-168 might be the last lift you ever purchase. 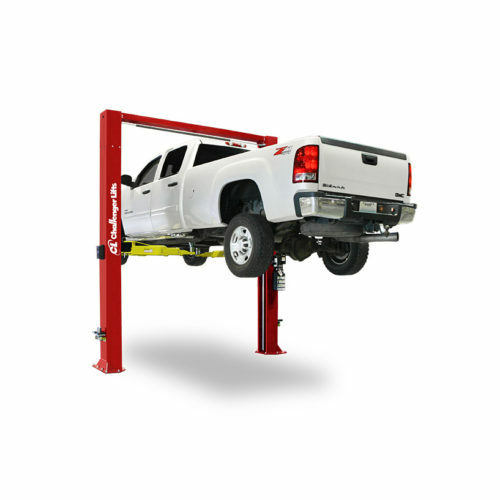 Our XPR-10S-168 symmetric two-post lift features an adjustable top beam to accommodate wide or narrow installation setups. 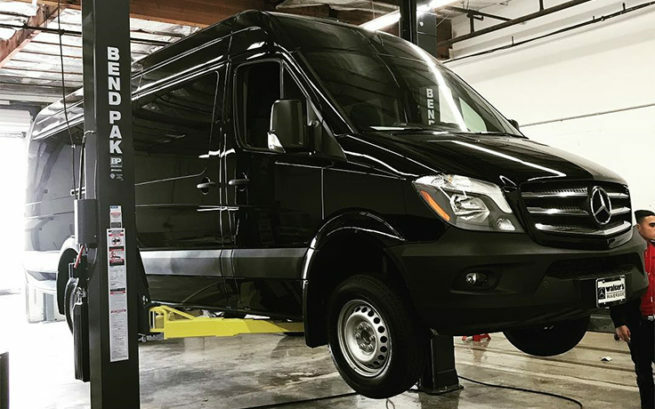 This unique configurable design allows you to choose the best setting for your specific space or vehicle lifting requirements. The highly sophisticated yet simple and dependable XPR-Series design requires very little service or maintenance for an overall lower cost of ownership. The XPR-10 two-post lift features low-pressure HVLP direct-drive cylinders, eliminating the need for lifting chains or screw mechanisms most commonly found on other lift designs. Dual HVLP low-pressure cylinders minimize leakage and offer better reliability, smoother operation and fewer maintenance costs throughout the life of your lift. High volume and low pressure equates to less workload placed on the entire hydraulic system. 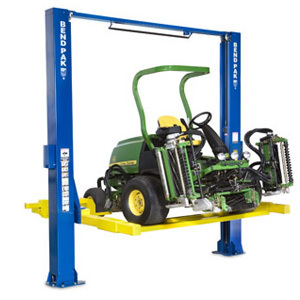 Direct-Drive technology is preferred on commercial-grade car lifts, as it has it has fewer moving parts than a chain-over-roller cylinder configuration. Pressurized hydraulic fluid flows from the power unit to the hollow cylinder rods, entering the cylinder body and filling its internal cavity. The pressure of the hydraulic fluid extends the piston rod downward, raising the cylinder body and lift carriages. A dual-synchro equalization system maintains equal lifting and provides operators with a stable, level vehicle working condition. The XPR-10S-168 features double-telescoping screw pads with gouge and tear-resistant polyurethane pads to help increase workplace safety and reduce operating costs. A set of our 63 mm stacking adapters is included with the purchase of a lift.